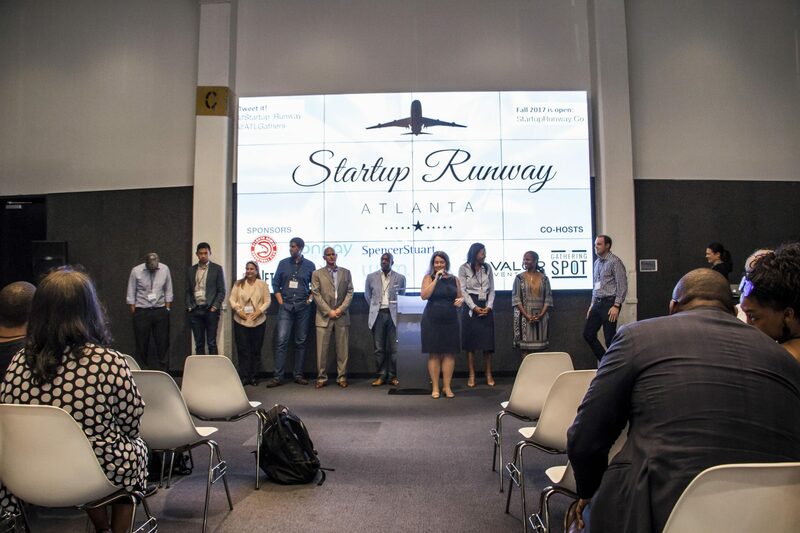 The Atlanta-based Startup Runway Foundation is proud to announce the support of Cox Enterprises as the Presenting Sponsor for the nonprofit’s 2018 season. With the support of Cox alongside other sponsors, the Foundation will award one $10,000 grant at each of the two public showcases. The grants go to women- or minority- led startups selected by Startup Runway Foundation’s program and chosen by active local investors. Startup Runway’s mission is to connect top minority-led startups with quality professional investors. Women and minority-led startups make up some 40 percent of founders, yet receive less than five percent of funding. Catalyzing the community, Startup Runway is a grassroots effort creating significant gains for women and minority startups by leveraging capital along with an active pool of over 100 mentors. 1 in 4 Startup Runway Finalists successfully raise capital from investors. 1 in 3 Startup Runway Finalists are recruited to well-ranked incubators and accelerators. To meet these high potential startups, the Foundation has built a unique track record of drawing investors from across the Southeast region as well as New York and California. Startup Runway is open for applications from women and minority led startups with customers who want to be investment-ready in 2018. If your company would like to get behind Startup Runway Foundation’s mission to connect professional investors with top minority entrepreneurs, find out more and meet our growing community of hundreds of women and minority-led startups and corporate partners. Mark your calendar to join us May 2nd and November 2nd, 2018, at Startup Runway co-host, The Gathering Spot. Early confirmed returning sponsors include Valor Ventures, The Gathering Spot, Write2Market and Myra McElhaney, public speaker. Cox Enterprises is a leading communications, media and automotive services company. With revenues of $21 billion and nearly 60,000 employees, the company’s major operating subsidiaries include Cox Communications (cable television distribution, high-speed Internet access, telephone, home security and automation, commercial telecommunications and advertising solutions); Cox Automotive (automotive-related auctions, financial services, media and software solutions); and Cox Media Group (television and radio stations, digital media, newspapers and advertising sales rep firms). The company’s major national brands include Autotrader, Kelley Blue Book and Manheim. Through Cox Automotive, the company’s international operations stretch across Asia, Australia, Europe and Latin America. To learn more about Cox’s commitment to people, sustainability and our communities, please visit CoxCSRReport.com. The Startup Runway Foundation, a 501c3 nonprofit, is the first and largest pitch series in the Southeast that connects select minority-led tech startups to seed capital. It holds two pitch series, Spring and Fall, that draw hundreds of applications from women and minority founders across the Southeast. Find out more and get involved at www.startuprunway.co. Take a look at some photos from past Startup Runway Showcases!